My eBay budget is somewhat limited, but when I see items like the ones below, I am sorely tempted. Generally, I stay in the shallow end, admiring rare machines from afar, but, oh, to place the winning bid! 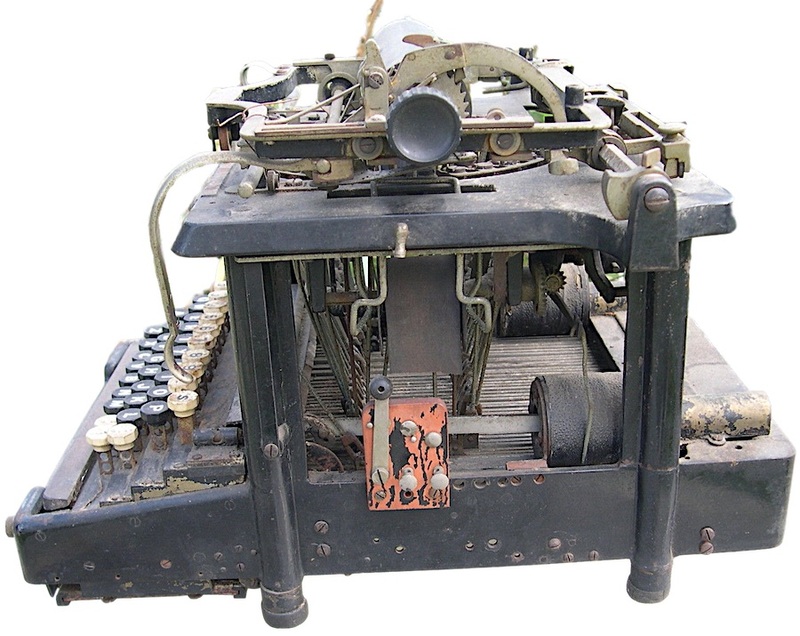 The Sholes & Glidden, known variously as the “Type-Writer” or “Type Writer”. Very early marketing for the typewriter. Nearly priceless. Wow. Absolutely, wow. Did anyone know that W.O. 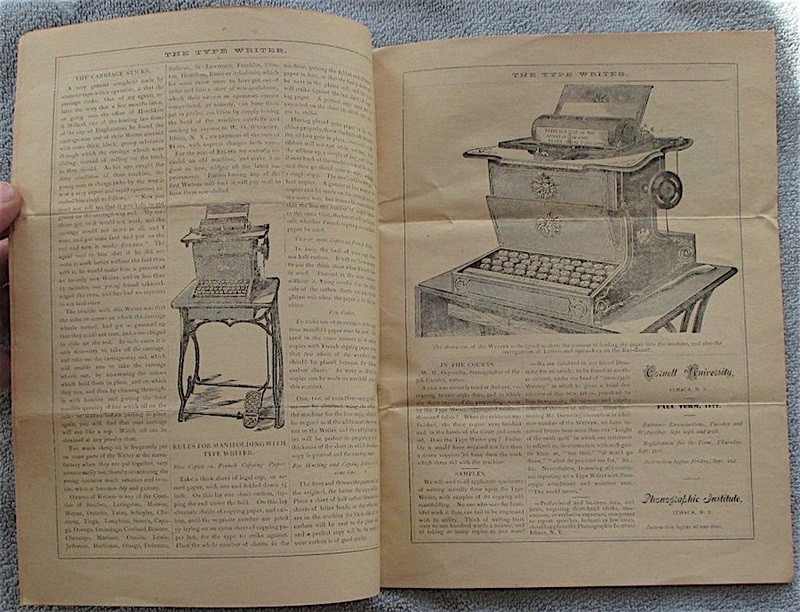 Wyokoff published a typewriter periodical in the late 1870s? This 12-page newspaper, dating to Aug. 1877, was lately offered on eBay. It sold for $1,200. To note, it is number 4 of volume 1. How many others are out there? 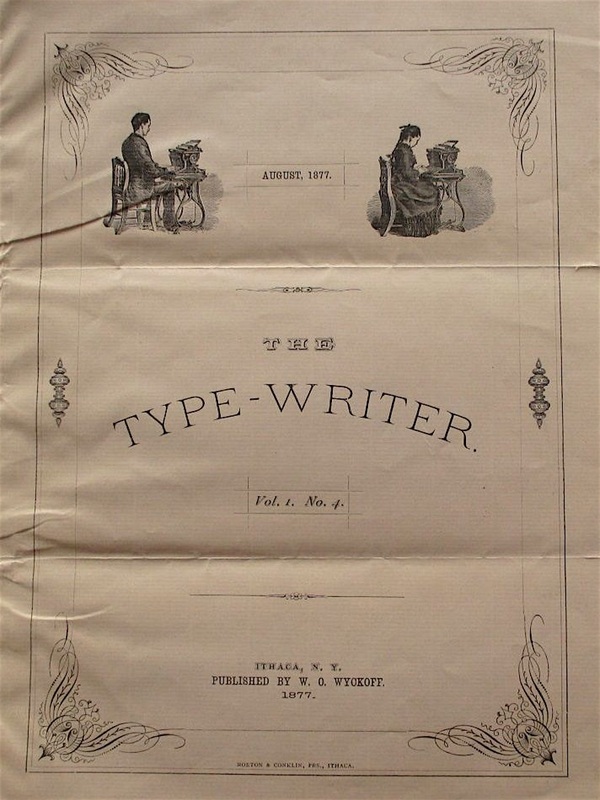 NB: This publication predates the Remington Typewriter Company. My machine has a low serial number of 537, but that is not the lowest out there. 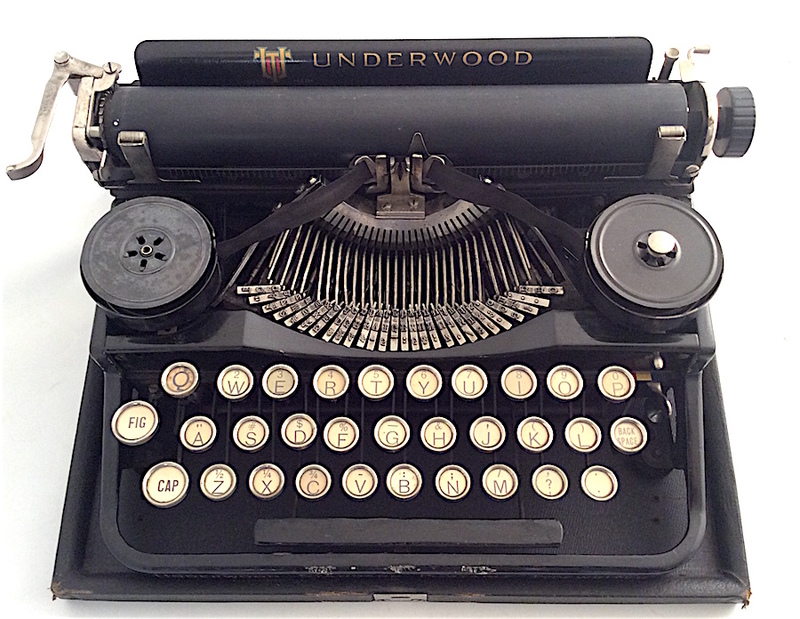 Someone, somewhere acquired an Underwood 3-bank portable with a serial number possibly as low as 57. It was sold late last year, but the serial number wasn’t entirely clear in pictures (and I’ve lost the image!). I have a very early Underwood portable in my collection, serial number of 537, but not nearly as low as 57. I checked TypeweriterDatabase.com, hoping it made an appearance, but no such luck. Anyone got it? Local pickup only from Italy, but the seller was accepting international bids. 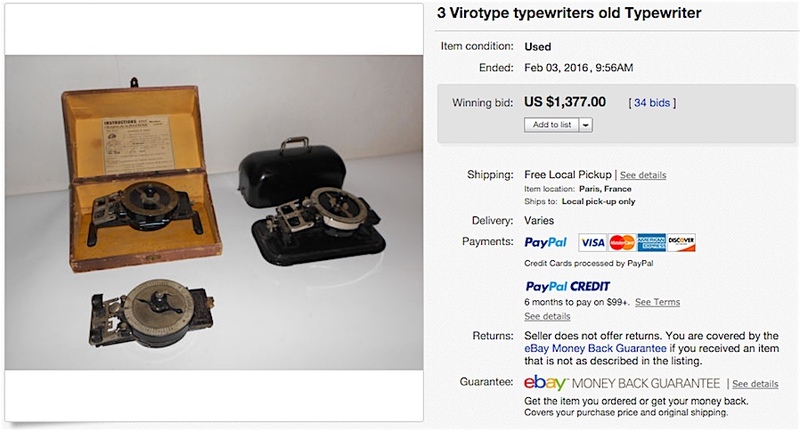 The Virotype is on my most wanted list (a mental list that changes regularly), and when I saw this listing, my jaw dropped. One might sell for over a grand, but three? The Italian seller advertised local pickup only, which may have dissuaded some bidders. I e-mailed him, and he noted that he would ship overseas ultimately. The three sold for around $1,400. All I will say about this machine is SUBSCRIBE TO ETCETERA if you are not already a member. In my estimation, the machine above, sold last year on eBay, is one of the most remarkable finds of the 21st century. Absolutely electrifying. Good stuff! I hadn’t seen the S&G publication, which is very interesting. Wow 1877, and I thought I collected “old paper”! 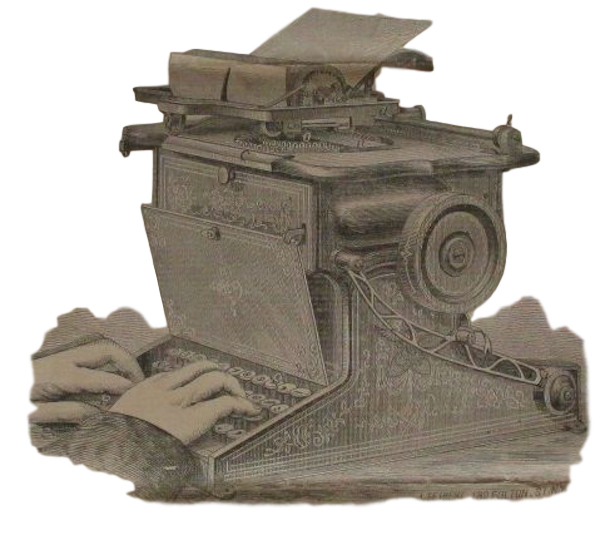 Next post: Long live QWERTY!